One of our most asked for recipes- and its gluten free! Espresso cake is a rich and delicious end to any meal. When you make it just right, these cakes are pure bites of heaven! Espresso cake is great when paired with berries or fruit for a little extra flavour. Alternatively, try accompanying them as you would your favourite specialty coffee. If you have flavoured coffees, you can experiment with your Espresso Cake. You may be surprised at how versatile this recipe can be! 3oz Kahlua or other coffee liqueur. PRO TIP : If you’ve never melted chocolate for desert before, you must take special care to make sure it doesn’t burn. Chocolate can burn easily in microwaves or on the stove top if you are not careful. A double boiler helps a lot with this. If you do not own a double boiler, you can get the same effect using a heat-resistant bowl, and pot of the appropriate size. Bring water to a simmer on a medium low heat, and place your chocolate in a bowl that can cover the pot’s opening. Place the bowl on top of the pot while it simmers. Stir the chocolate until it has melted, and voilà! Rich, velvet smooth chocolate ready to be used in any desert! Looking for more deserts? 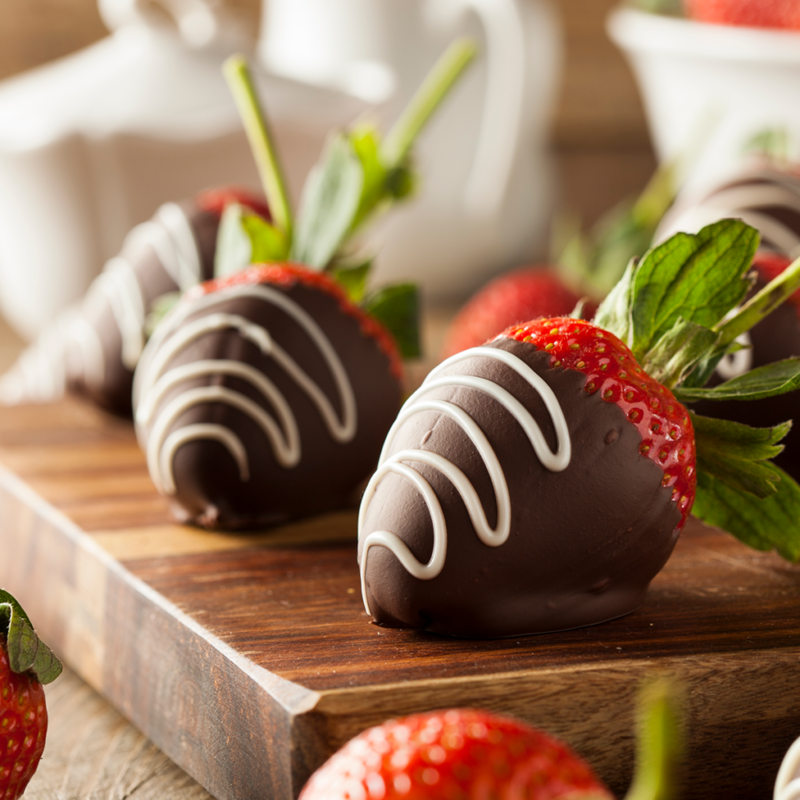 Try our chocolate covered strawberries!